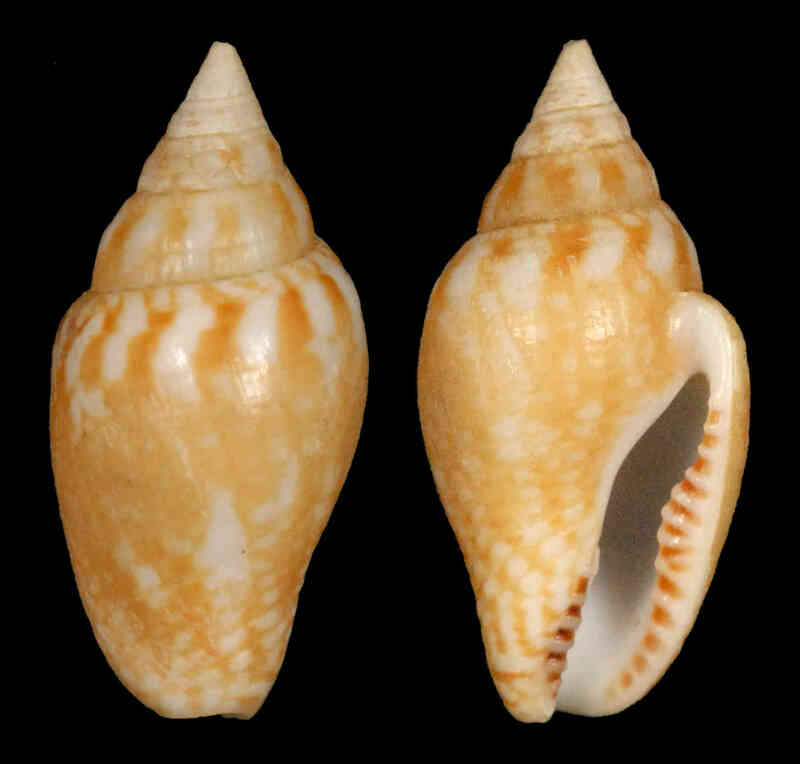 Shell size to 12 mm; shell solid, with pointed spire. Sculpture of fine incised spiral lines, but usually smooth in middle of body whorl. Outer lip thickened in middle section. Color whitish to yellowish with brown markings. Outer lip white, with mauve-brown marks between teeth. Not common in the barrier islands of SW Florida.